Did you know our Premium members can give up to 5 of their friends and family members full access to any of iHire’s 56 industry-specific sites for free? Can you think of anyone in your personal network who’s also searching for a new career? It’s time to share the love and invite them into your Premium Circle. Everyone in your Premium Circle will have their own separate accounts and enjoy all the benefits of our Premium membership including full access to any of our industry-specific communities, iScore, and our dedicated Customer Success team at no extra cost. We at iHire love a good deal as much as anyone else. This feature gives you and your network of friends and family up to 6 separate Premium accounts for the price of one! Premium Circle members will continue to have full access as long as the primary member maintains his or her Premium membership. If the primary member cancels, their Premium Circle members will still have their own Basic accounts. Finding jobs on your own can be difficult. By utilizing this feature, you and your Premium Circle members can help each other find the right job opportunities and share job listings with one -another on a single familiar platform. Plus, you’ll be doing your part to give a customized industry-focused job search platform to the people you care about. Here’s how it works: If you’re a Premium member of any of our 56 industry-specific sites, you can access your Premium Circle from the Account Membership Settings page. Once you click on the link, you’ll be taken to your Premium Circle management page. Here, you can control which of your contacts are included in your Premium Circle and send email invitations to friends and family inviting them into your circle. At this point, all your invited contacts have to do is register on any of our industry-specific sites via the link in their invite email and they will automatically have full access to all of our Premium features and benefits. You already know how a premium membership can jump-start your job search. 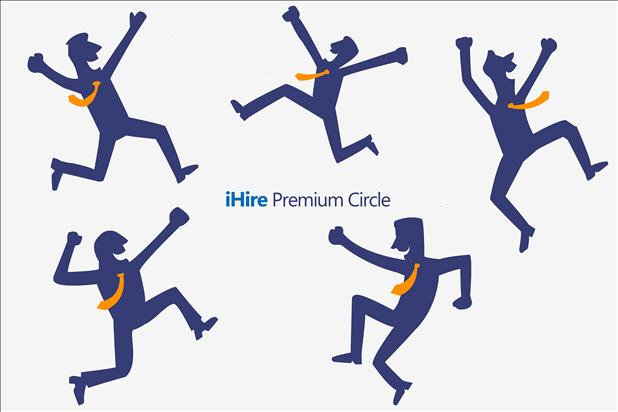 Now you can help your loved ones improve their own professional lives with iHire’s Premium Circle.